Standing between the sun and the moon, our planet throws a shadow as a result. 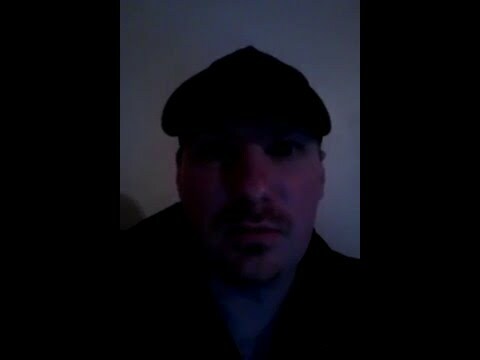 This shadow has two parts: a penumbra and an umbra. The umbra is the central shadow and the penumbra is the perimeter shadow surrounding the umbra. Entering the partial phase (the penumbral shadow) at 5:15 a.m. EDT, the moon slowly gains a red glow. 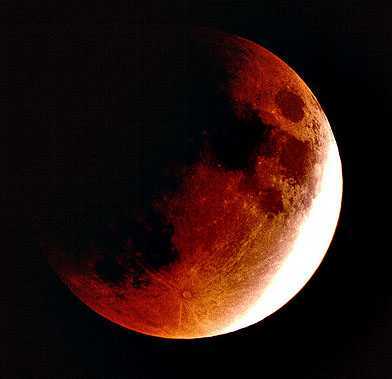 Our lunar colleague then moves into the umbral shadow by 6:25 a.m., and consumes itself wholly in crimson. The full moon officially occurs at 6:51 a.m. according to the U.S. Naval Observatory. And the middle of the total lunar eclipse occurs at 6:55 a.m., but note the sky will be lightening for sunrise (7:11 a.m.) in the east. The moon sets in the west a mere five minutes later at 7:16 a.m. This total lunar eclipse is the second of four total lunar eclipses in a row and that special quartet of events is called a tetrad. 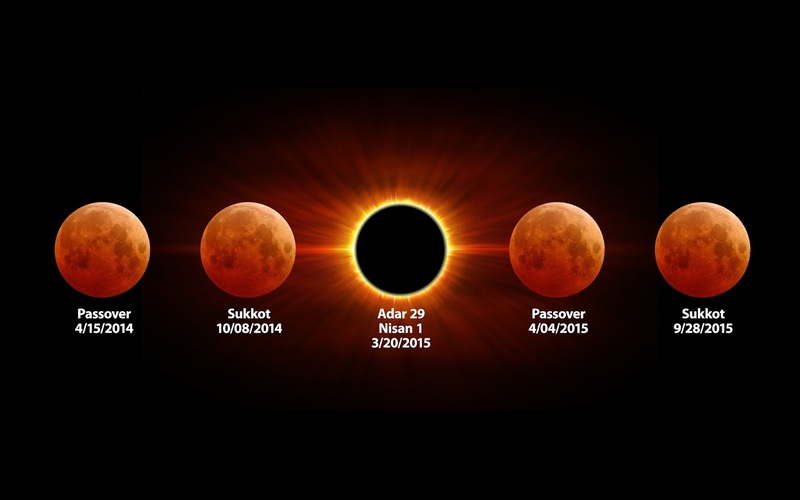 The first total lunar eclipse in the tetrad was April 15 and the next one will be April 4, 2015 and then Sept. 28, 2015. Between 1582 and 1908, there were no tetrads. In our modern age, there will be eight tetrads in this century. The last quartet was 2003-04, while the next one will occur in 2032-33. 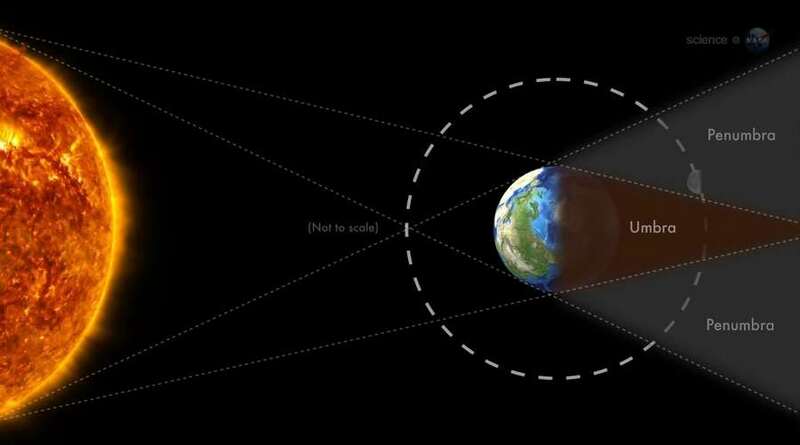 Lunar eclipses occur in a series – or a family – every 18 years, 11 days and 8 hours, and these eclipse families are called “saros,” says NASA. 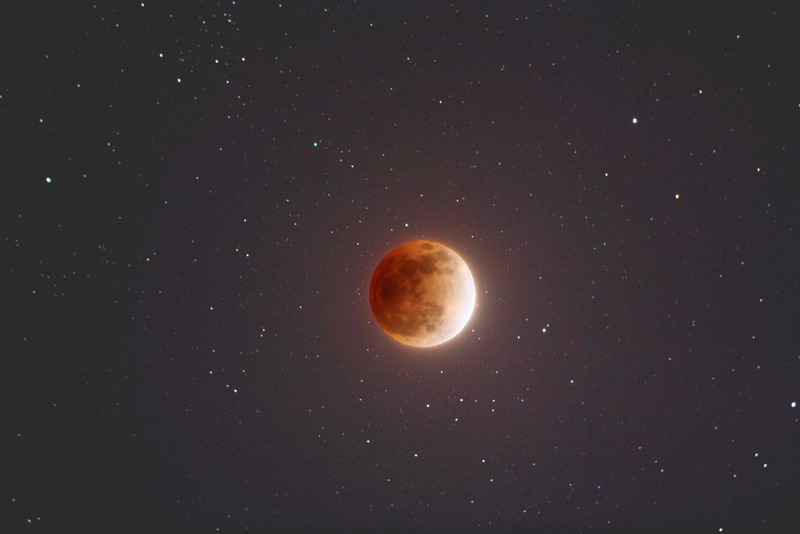 The Oct. 8 eclipse belongs to lunar eclipse Saros 127, a series that dates back to July 9, 1275. The last eclipse in this family will happen on Sept. 2, 2555. 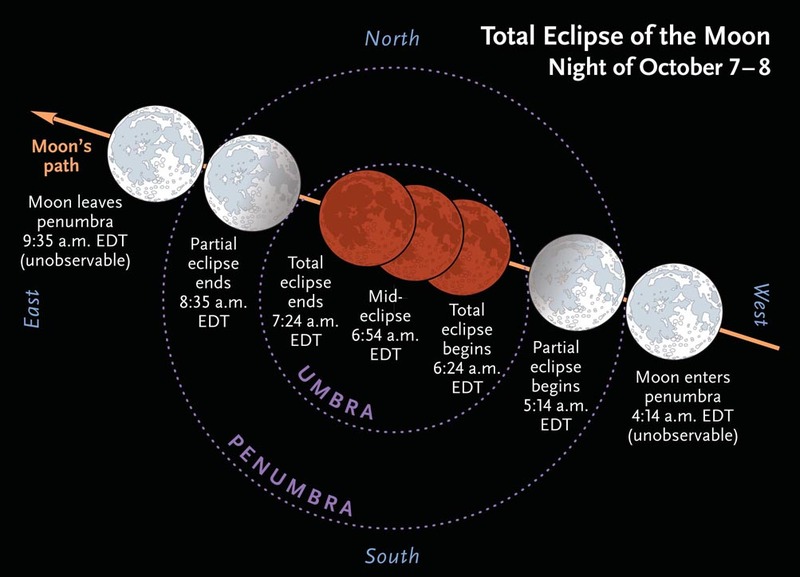 Our ancestors enjoyed this series’ longest total lunar eclipse on July 23, 1888, when it lasted 1 hour and 46 minutes. The shortest total eclipse in Saros 127 will be Nov. 9, 2068, when it will last just over 18 minutes. Saros 127 continues with its next total lunar eclipse on Oct. 18, 2032.